Shelby Lynn (Hunt) Miller, age 79, died November 23, 2018, at the Good Samaritan Center in Goodland. Shelby was born on May 13, 1939, by a midwife on a farm in Bird City, Kansas, to Clarence Eugene Hunt and Margretta Ruth Blair Hunt. Shelby grew up in the Kansas counties of Cheyenne and Sherman. 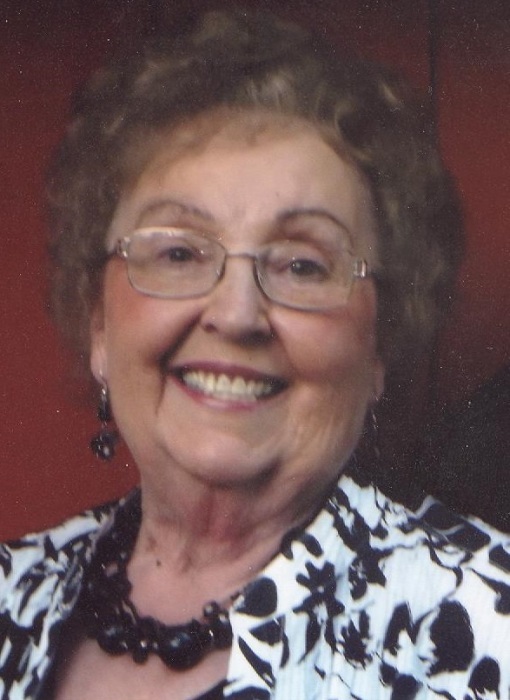 She attended country grade school and graduated from Sherman County School in the Class of 1957. She also attended school at Kansas State University. After school, Shelby worked at Model Laundry in Goodland as a seamstress. She also taught 4-H sewing classes and was a 4-H leader. In 1980, Shelby was elected Sherman County Treasurer and retired in 2005 after 25 years in office. After retirement, Shelby loved volunteering at the Goodland Regional Medical Center Auxiliary, where she eventually became President and then ultimately was appointed District V Coordinator to serve on the auxiliaries board of directors. On June 22, 1962, Shelby married Bennett “Dee” Miller at Pilgrim Holiness Church in Goodland. They celebrated 55 wonderful years together, before Dee’s death on July 21, 2017. Shelby lived life to the fullest and enjoyed bowling, cooking and sewing. Her favorite was sewing. She sewed many beautiful things from clothes to quilts to drapes. Shelby also loved traveling. A couple of favorites were a trip to the Cayman Islands with her Class of 1957, and an Alaskan cruise with friends, Keith and Janet Moffett, and her sister-in-law, Carolyn Hunt. She really enjoyed attending K-State football games in Manhattan and spending time with friends and family, and especially her best friend of 58 years, Barb Neitzel. Shelby is survived by sister-in-laws, Carolyn Hunt, Glendale, Arizona and Judy (Bob) Hill, Cleo Springs, Oklahoma; many nieces, nephews, great nieces and nephews, great great nieces and nephews and a host of special friends. She was preceded in death by her husband, Dee Miller (2017); son, Chad Miller (1984); brother, Ronnie Hunt (1997); and her parents, Clarence Hunt (1995) and Margretta Hunt (1985).